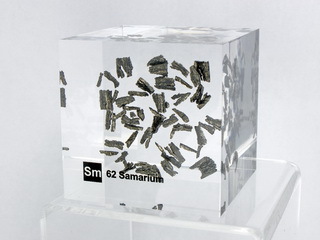 Samarium was discovered in 1879 by P.E. 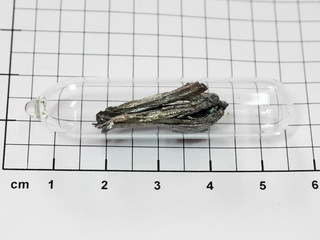 Lecoq and was named after the mineral "Samarskite" which, in turn, was named after the Russian mine official, Colonel V.E. 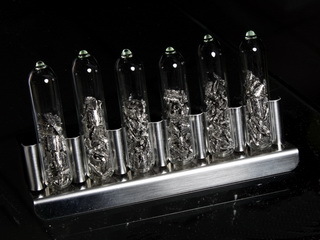 Samarsky. 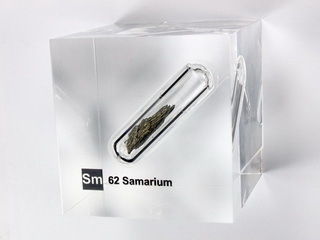 A lanthanide group element, samarium is a silvery-white metal which is found in the minerals allanite, cerite, gadolinite and its namesake, samarskite; it has an abundance on earth of 7.9 ppm. 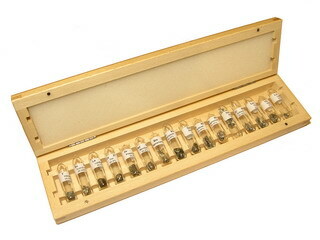 It is relatively stable in dry air but oxidises on contact with moisture. 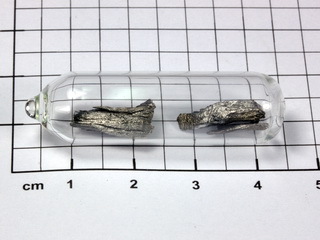 Applications of the metal are limited, but it finds uses in the glass, ceramics and electronics industries and also in the manufacture of permanent magnets (when combined with cobalt). 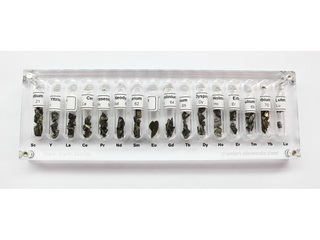 200g Samarium metal pieces 99,99% under argon! 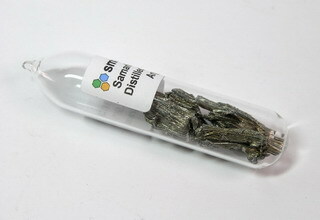 Samarium 3+ doped fluorescent glass bead NEW! 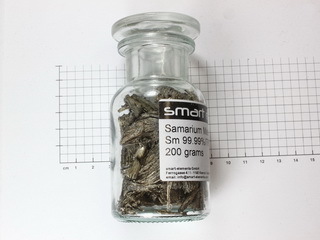 5g Samarium metal granules ~8x3mm 99,99% under argon!